Rucy Byron - !APHORISM! By: Rucy Byron - !APHORISM! 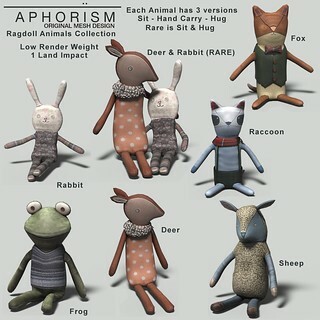 6 Ragdoll Animals to collect, each comes in three versions. One sitting, one to hold in your hand, and another to hug. 1LI - Low render weight.